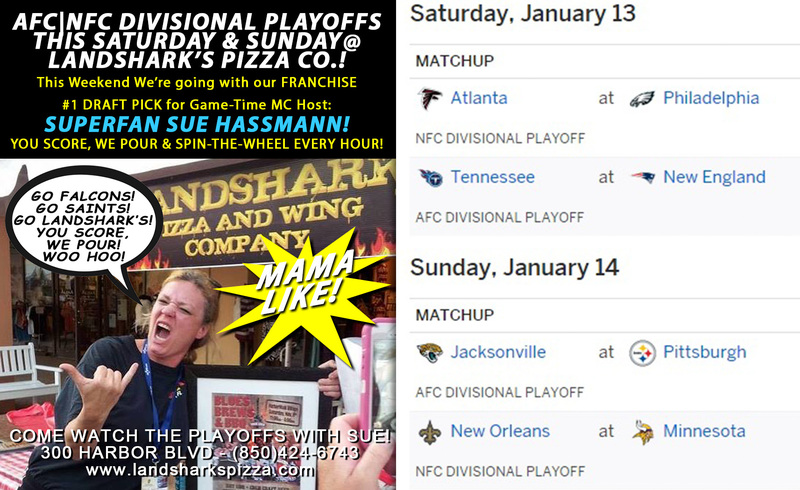 / Best Hot Wings in Destin FL / Award-Winning Wings Wednesday only 69¢ each NCAA #1 VILLANOVA, FLORIDA ST., LSU & More Hoops Excitement! 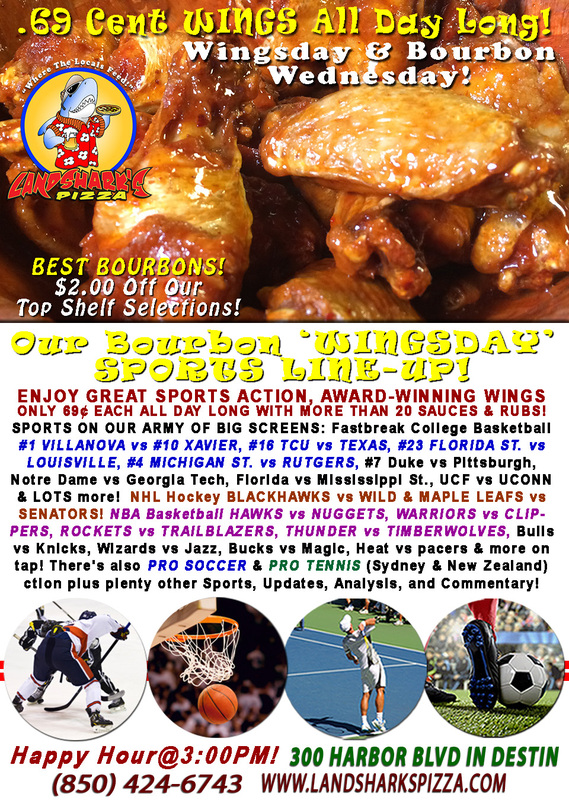 Award-Winning Wings Wednesday only 69¢ each NCAA #1 VILLANOVA, FLORIDA ST., LSU & More Hoops Excitement! 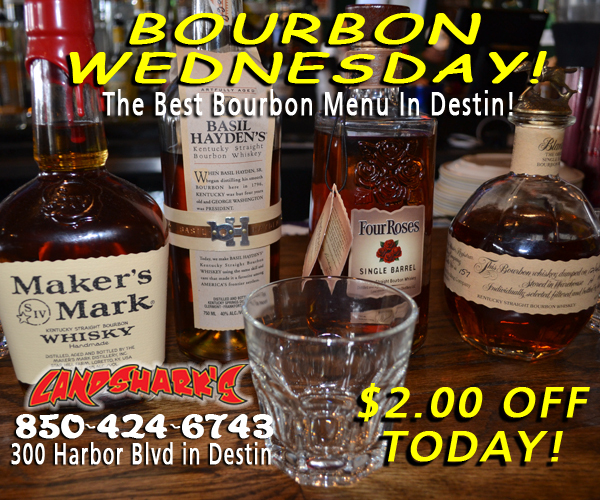 Today at Landshark’s Pizza: BLAZING HOT College Hoops all day & More on Wing Wednesday in Destin! Leap boldly atop the weekly hump with our juicy & delicious Award-Winning wings for only 69¢ each ALL DAY LONG! Choose from among more than 20 sauces and rubs to compliment! SPORTS ON OUR ARMY OF BIG SCREENS – Fastbreak NCAA #1 VILLANOVA vs #10 XAVIER, #16 TCU vs TEXAS, #23 FLORIDA ST. vs LOUISVILLE, #4 MICHIGAN ST. vs RUTGERS, #7 Duke vs Pittsburgh, Notre Dame vs Georgia Tech, Florida vs Mississippi St., UCF vs UCONN & LOTS more! NHL Hockey BLACKHAWKS vs WILD & MAPLE LEAFS vs SENATORS! NBA Basketball HAWKS vs NUGGETS, WARRIORS vs CLIPPERS, ROCKETS vs TRAILBLAZERS, THUNDER vs TIMBERWOLVES, Bulls vs Knicks, Wizards vs Jazz, Bucks vs Magic, Heat vs pacers & more on tap! There’s also PRO SOCCER & PRO TENNIS (from Australia|New Zealand) action plus plenty other Sports Broadcasts, Sporting News, Analysis, and Commentary! Pro Golf This Week: (Thurs) Sony Open (Honolulu), Justin Thomas chasing $6.2 Million. Pro Tennis This Week: ATP|WTA International Sydney & ATP|ASB Classic (New Zealand). 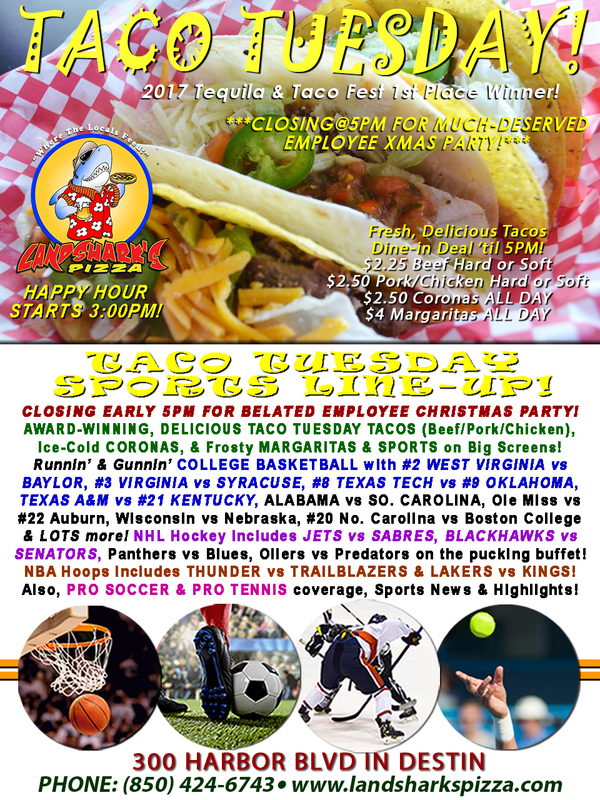 Previous Post: « Taco Tuesday & TOP-RANKED COLLEGE HOOPS Action, NBA, NHL & More with Taco, Margarita, & Corona Specials!